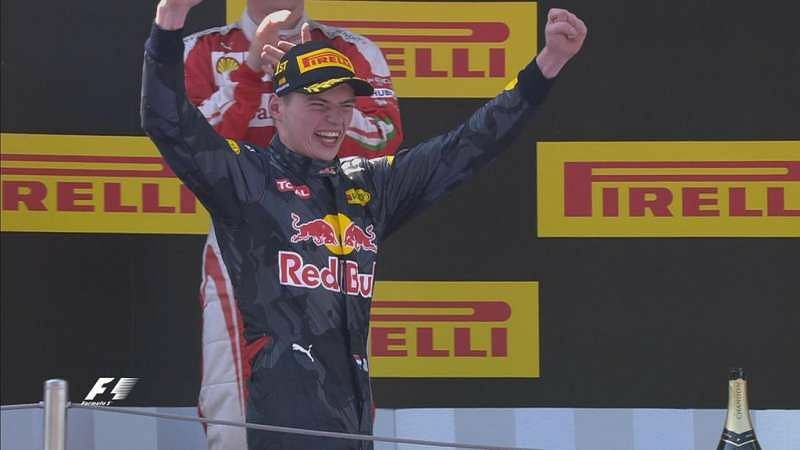 Spanish GP 2017: Max Verstappen Who Created the History By Winning Spanish GP Last Year to Become the Youngest F1 Winner, Is All Set for Yet Another Feat. It’s four days remaining action will start for Spanish GP 2017 in Barcelona. Spanish GP which is set take place over the weekend from May 12 to May 14. Redbull Racing star Max Verstappen hark back into his famous win as looks forward to another F1 win. Max made his F1 debut at the age of 17 and became the youngest F1 driver. Last year he won the Spanish GP to become the youngest ever F1 driver to do so. He now is looking to repeat the history. “Going back to Spain will always mean a lot to me,” Verstappen said.”Last year was such a special race. “I got the call to join Red Bull Racing, which was a great feeling. “When it got announced everything happened really fast. “I spent a lot of time in the factory getting prepared in the simulator in order to get used to the car. At Russian GP all eyes were on Lewis Hamilton & Sebastian Vettel, however, it was Valtteri Bottas who stole the show. Spanish GP 2017 will mark the beginning of European season for F1. An interesting contest expected between last time winner, Max Verstappen, 2016 Pole winner Lewis Hamilton, Current table topper Sebastian Vettel.